I grew up in the era of calisthenics which I never liked. I also detested relay races, jumping rope, softball, and any sport that required fast movement. President Kennedy’s “Youth Fitness Plan” was lost on me. I like to play croquet and occasionally badminton, or at least I used to when my dad would set up a net on the side yard. I think that’s it. I really like to walk and can do that for long stretches but the truth is, I am not strong. 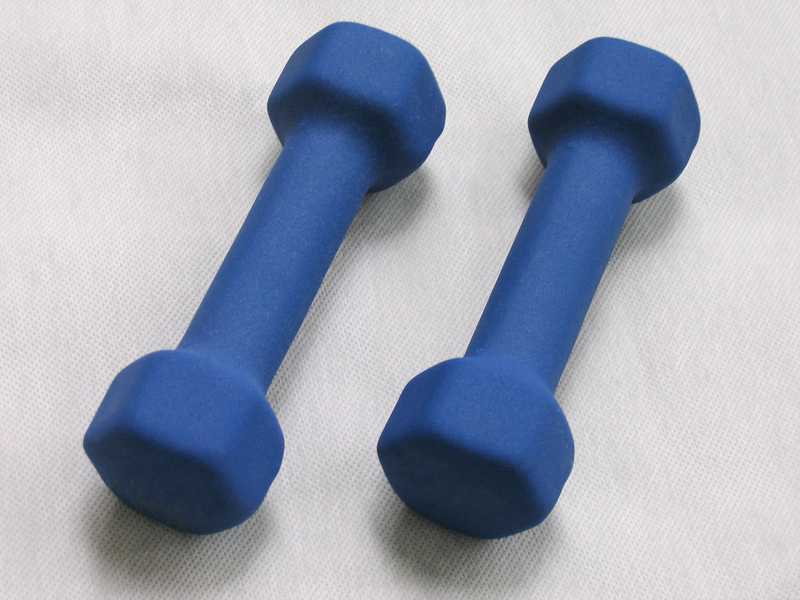 Apparently, strength is an essential component for health and longevity, both of which I want plenty of. So I bought a DVD for women of a certain age group to focus on strength training. Loved the idea, couldn’t wait to get strong, set out the weights and slipped the DVD into my player….ONCE. When “Strengh Training” kept showing up on my to-do list, I finally realized I didn’t need a DVD, I needed an appointment. So I hired a trainer. I meet with my trainer on Mondays at my local gym. He speaks the language of “Upper Body” and “Lower Body” and after three sessions now, I have some recall of what to do with the free weights for biceps which is a different motion than for triceps. Who knew? 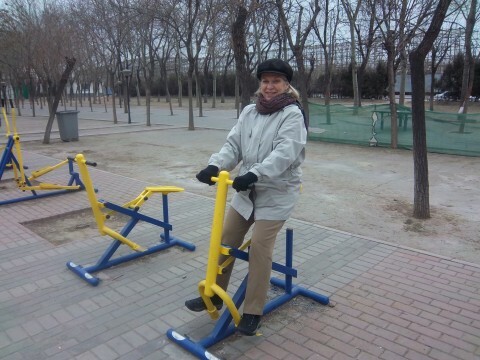 Exercise in the park in Beijing last year, just my speed! For 40 minutes a week, I feel strong. I am beginning to feel strong anticipating going and sometimes I feel strong just driving by the gym. All that strength is showing up in the rest of my life too. A girl who hires a trainer can take on other tasks too. I am braver for sure. I think I will be on the lifetime plan but that’s the point right? PS #4 in the 5 Step Strategies for Raising Kids will resume soon!